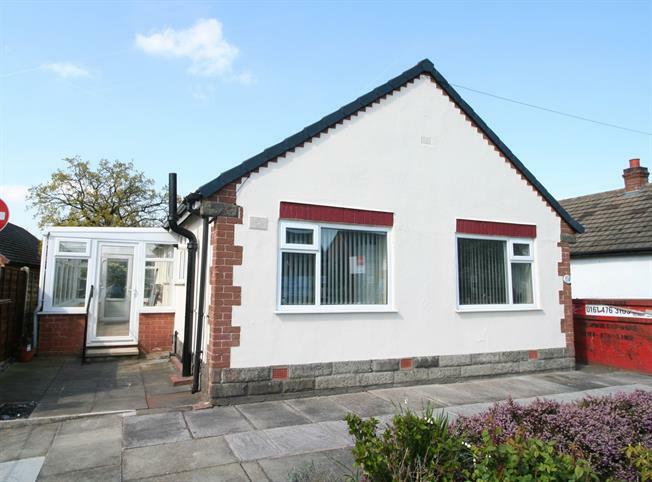 2 Bedroom Detached Bungalow For Sale in Cheadle for Asking Price £220,000. Offered with no vendor chain - Attractive and deceptively spacious two bedroom detached bungalow. Extended to the side with large conservatory. The property boasts - entrance hallway, living room, two double bedrooms, bathroom, breakfast kitchen and conservatory. With large driveway and garage to the front and enclosed garden to the rear. An excellent downsize opportunity in one of the areas most popular and sought after residential suburbs.